I’ve designed my own quilt before, but this is the first one that I am sharing with others. 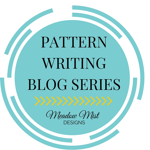 It’s a simple pattern and can be made with any print and two solids. I had some left over scraps (no particular fabric collection) from another project and made the quilt top. 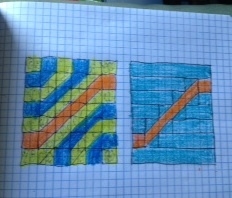 My back will have one metro line surrounded by solid fabric. My binding will have a combination of the two solid fabrics. 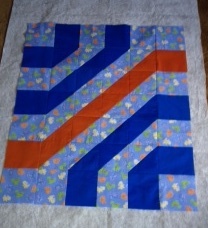 It’s a small baby quilt, but I know the blocks can be resized for any size quilt. I used HSTs and squares and just arranged them in this order. My soon to be daughter-in-law helped me name it, and that’s how Metro Lines was born.